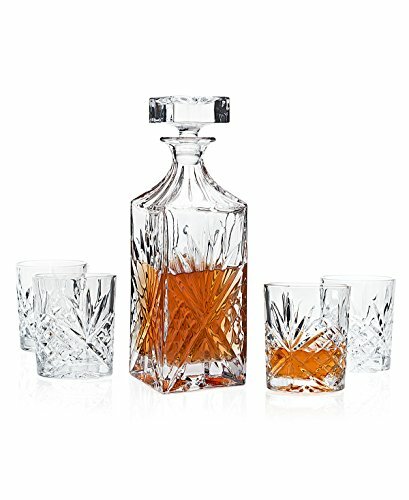 GIVES A DISTINGUISHED LOOK WHEREVER YOU PLACE IT – Perfect in a gentleman’s study, this distinguished set gives pause to everyday life and beckons you to take a break. 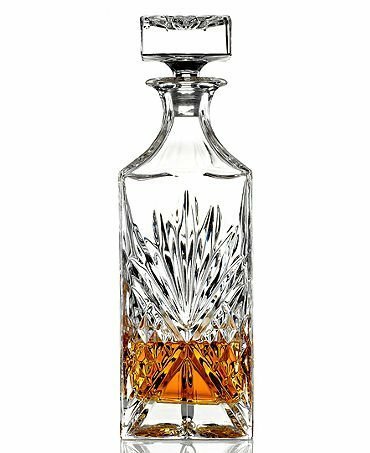 Whether you fill the stylish decanter with 12-year old scotch for a get-together with friends or orange juice after a round of golf, it’s a happy and hospitable way to pass the time. 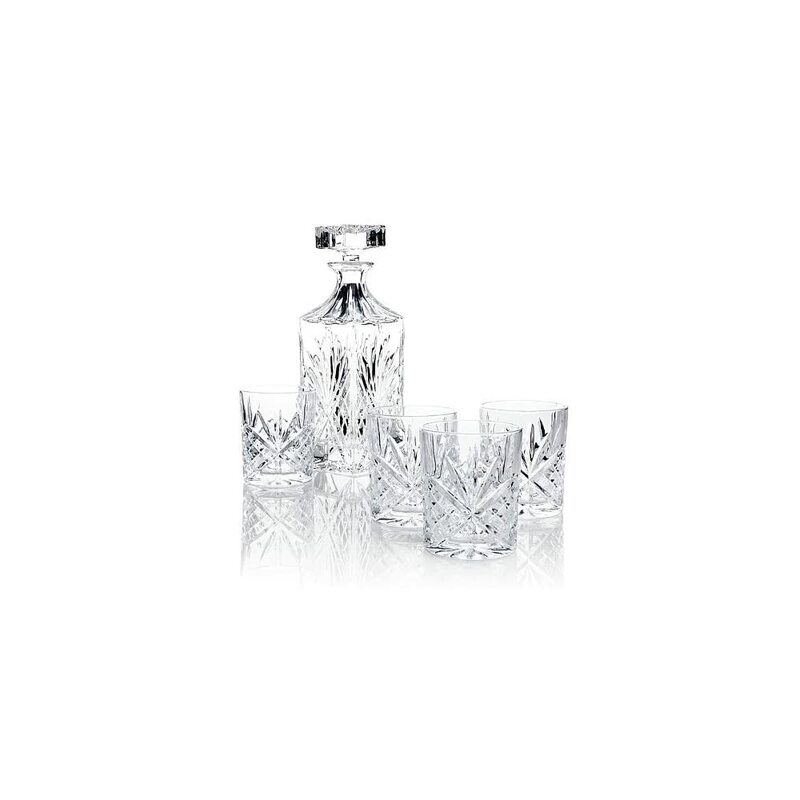 TRUE BEAUTY IS ONLY FOUND WHEN WITH JAMES SCOTT – The James Scott Bar set is designed to reflect the soft, glowing beauty of a magical countryside. 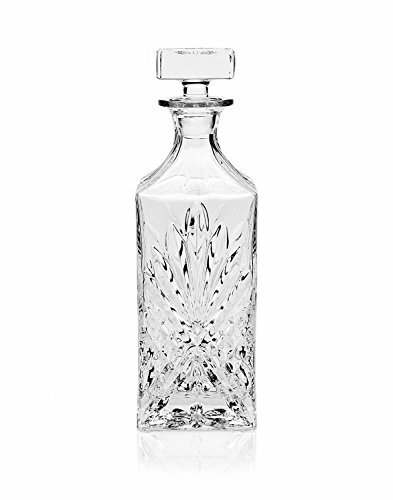 This fine crystal has been handcrafted utilizing the centuries old traditions of crystal glass blowers and cutters. 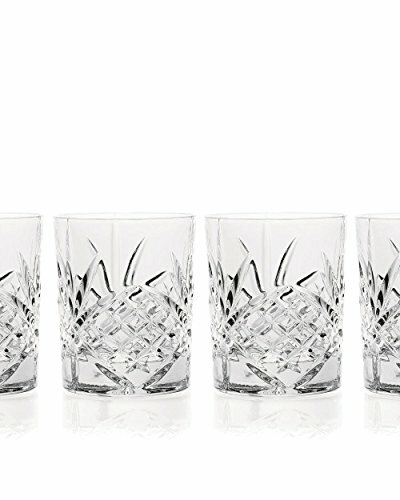 By strictly adhering to these traditions, this bar set is truly worthy of becoming a cherished family heirloom. 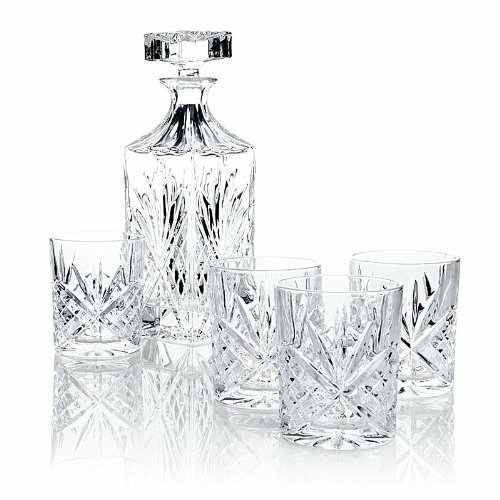 CRYSTAL BY ITS VERY NATURE, REQUIRES DELICATE HANDLING – With just a little tender loving care, you will ensure the beauty of your crystal for many lifetimes. 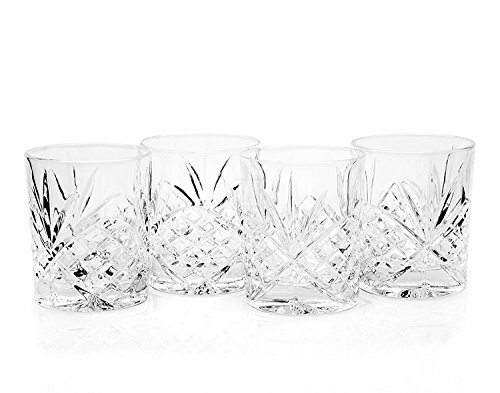 Wash one piece at a time by hand using warm soapy water and hand dry with a soft cloth. 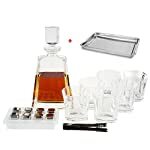 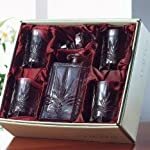 High Quality 24% Lead Crystal James Scott 5 PC Crystal,Whiskey, Decanter Bar Set.